Justin is a proud Greene County native with personal, educational, and professional ties to his hometown. He is a graduate of Greeneville High School, D & D School of Real Estate, and Tusculum College where he obtained a bachelor’s degree in Organizational Management with concentrations in financial management and human resource management. Justin is also a member of the Northeast Tennessee Association of REALTORS ® and the National Association of REALTORS ®. 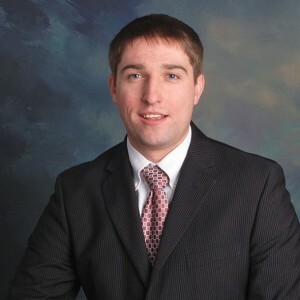 Prior to joining Greeneville Real Estate and Auction Team, Justin worked in the banking and finance industry, most recently as an Assistant Vice President and Branch Manager. His responsibilities in his banking career provided him with valuable experience in marketing, customer service, consumer lending, and business operations. After spending several years investing in his professional banking career, he realized that his true passion was becoming a real estate agent. Justin finds great satisfaction in helping others, and looks forward to developing long-lasting professional relationships with his clients. During his time away from the office, Justin enjoys spending time with his family, attending community functions, and taking photos of the beautiful landscapes that East Tennessee offers to its residents. Justin is ready to put his skills to work for you and looks forward to your call, text, or email.